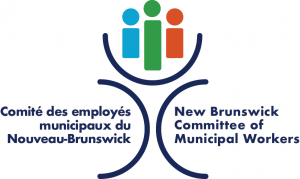 Working For Cannabis NB ? Join CUPE! In New Brunswick, Cannabis NB is the only legally authorized retailer for cannabis products. Despite good development prospects, the Crown corporation does not seem ready to commit to make these jobs stable and have all the benefits that should come with such a profitable industry. At CUPE, we feel this can change and we want to help Cannabis NB staff achieve job security and gain negotiated improvements to their working conditions. This is why Canadian Union of Public Employees is organizing Cannabis NB workers. Job security. Protection against unjust layoffs and potential management abuses. Better wages. Collectively bargained wage increases. Vacations, pension, insurance and other benefits. Experience. CUPE already represents workers in the retail of controlled substances. Alcohol NB workers, for example, are unionized with CUPE. Union strength. With over 650 000 members nationwide, CUPE is the largest union in Canada and in NB. This means resources and staff to represent and help members. Visit our website: https://www.cupecannabis.ca/ and call or email our organizer today !